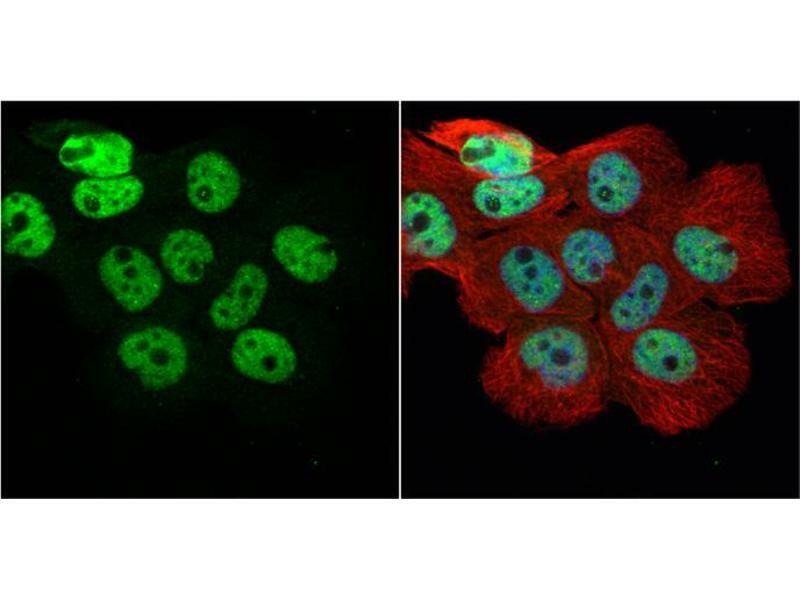 ICC/IF Image hnRNP H antibody [N1C1] detects hnRNP H protein at nucleus by immunofluorescent analysis. Sample: A431 cells were fixed in 4% paraformaldehyde at RT for 15 min. 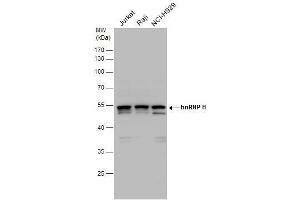 Green: hnRNP H protein stained by hnRNP H antibody [N1C1] , diluted at 1:500. Red: alpha Tubulin, a cytoskeleton marker, stained by alpha Tubulin antibody [GT114] , diluted at 1:1000. Blue: Hoechst 33342 staining. 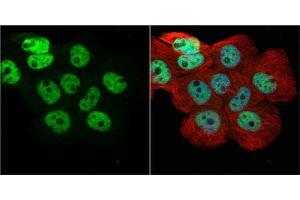 ICC/IF Image hnRNP H antibody [N1C1] detects hnRNP H protein at nucleus by immunofluorescent analysis. Sample: HeLa cells were fixed in 4% paraformaldehyde at RT for 15 min. 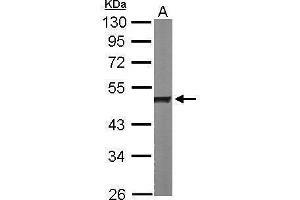 Green: hnRNP H protein stained by hnRNP H antibody [N1C1] , diluted at 1:200. Red: alpha Tubulin, a cytoskeleton marker, stained by alpha Tubulin antibody [B-5-1-2] , diluted at 1:10000. Blue: Hoechst 33342 staining. 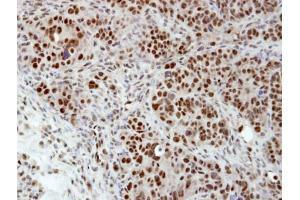 IHC-P Image Immunohistochemical analysis of paraffin-embedded NCIN87 xenograft, using hnRNP H, antibody at 1:100 dilution. 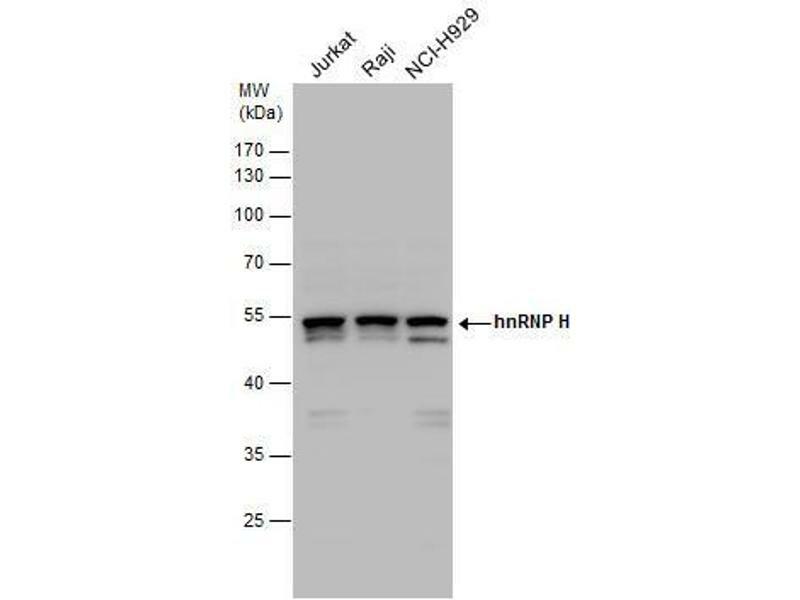 WB Image hnRNP H antibody detects hnRNP H protein by western blot analysis. 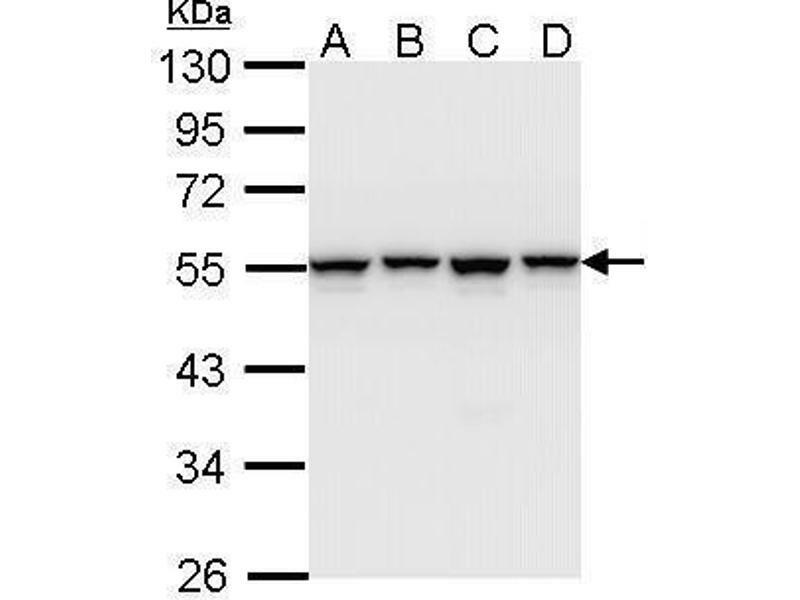 Various whole cell extracts (30 μg) were separated by 10% SDS-PAGE, and the membrane was blotted with hnRNP H antibody , diluted by 1:1000. Immunogen Recombinant protein encompassing a sequence within the center region of human hnRNP H. The exact sequence is proprietary. 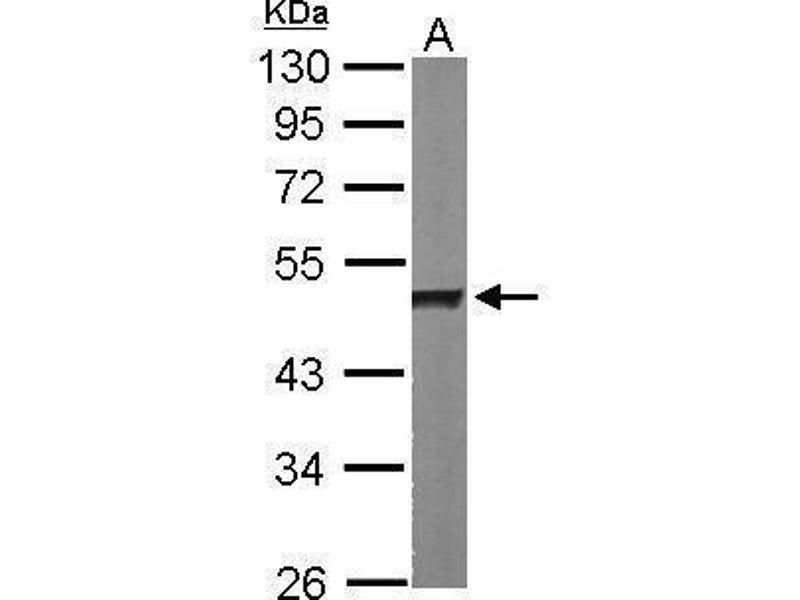 Background This gene belongs to the subfamily of ubiquitously expressed heterogeneous nuclear ribonucleoproteins (hnRNPs). The hnRNPs are RNA binding proteins and they complex with heterogeneous nuclear RNA (hnRNA). 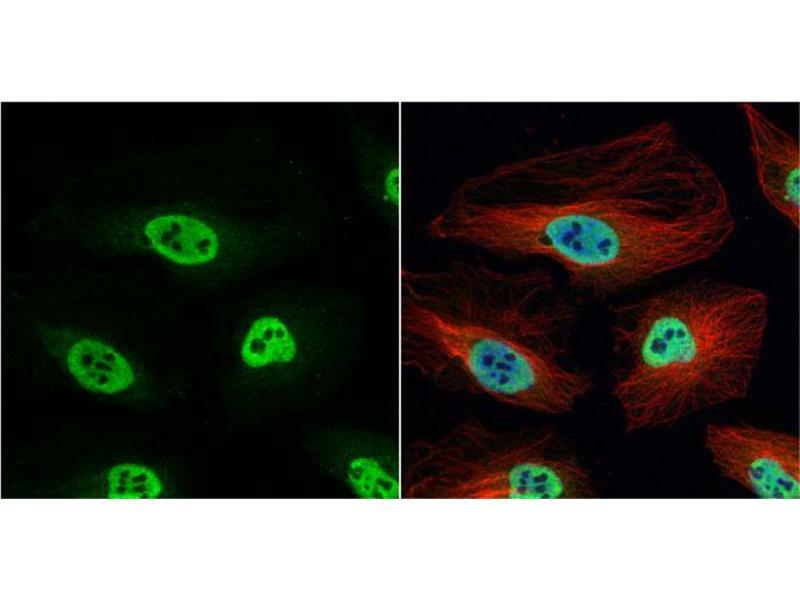 These proteins are associated with pre-mRNAs in the nucleus and appear to influence pre-mRNA processing and other aspects of mRNA metabolism and transport. While all of the hnRNPs are present in the nucleus, some seem to shuttle between the nucleus and the cytoplasm. 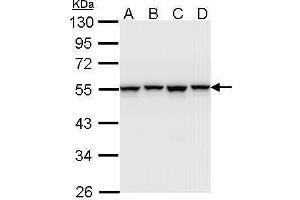 The hnRNP proteins have distinct nucleic acid binding properties. The protein encoded by this gene has three repeats of quasi-RRM domains that bind to RNAs. 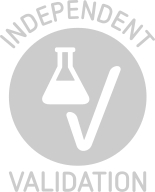 It is very similar to the family member HNRPF. 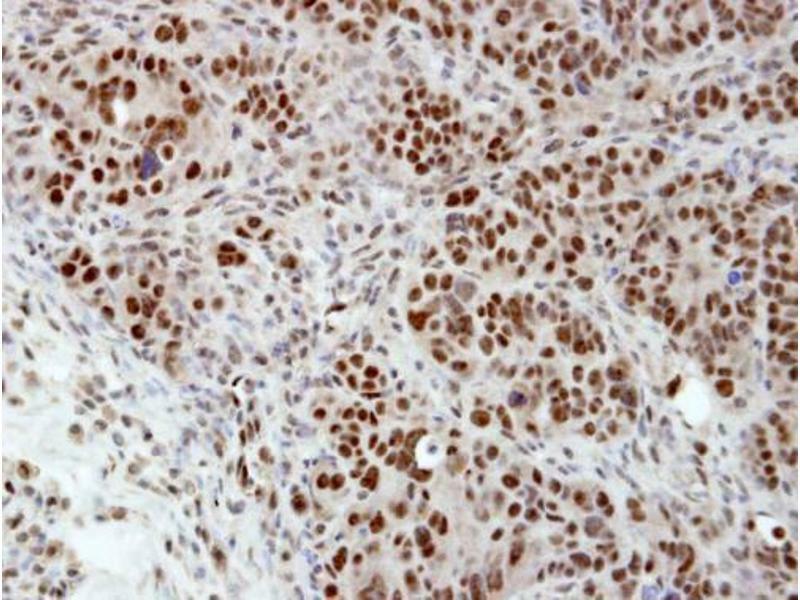 This gene is thought to be potentially involved in hereditary lymphedema type I phenotype.